The location was perfect, it is near parks, and food places. The staff was also really kind and were prepared to answer our questions. The breakfast is also good and in a great spot. I would definitely stay again here and recommend it. Muy bueno, empleados muy amables. The location is right next to Kennedy park and about 15 minutes walk to the Lacromar, which is a mall next to the water. 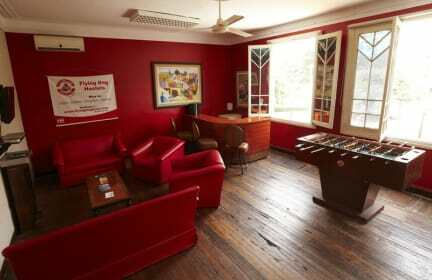 The staff were friendly and it was a quiet hostel which I preferred. There are three 'flying dog hostels' within a 1 km radius, so make sure you are going to the correct one, or you might be lugging your bags around until you've visited all three. Not a bad place, but nothing special or exceptional. They didn't have a breakfast new years morning because it was a 'holiday', but all of the other hostels did. 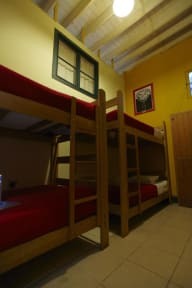 If you wanna sleep before your flight, perfect hostel. If you wanna socialize, go to Pariwana. Location is excellent, internet is fast, it serves great breakfast downstair which is a big plus, but a staff, an old guy, is quite rude and edgy all the time, the rest are normal and nice. Perfect central place to stay, rooms good and clean, we had no window but that didn't matter. WiFi connection was good. A basic Breakfast was included at a local restaurant.